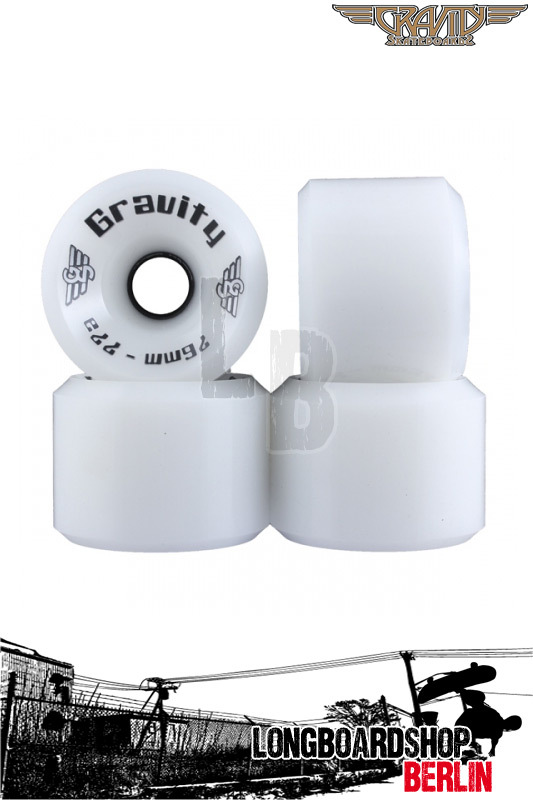 Neue Gravity High Grade wheels in 76mm. Diese wheels kommen jetzt aus der gleichen Produktion wie Orangatangs und Earthwing. Freeride Allround Rolle mit der man dank der angeschrägten kanten auch mal Sliden kann! "After extensive testing we have developed our new Hi Grade urethane. This wheel is the ultimate low rolling resistance freeride wheel. It also makes for a great boardwalk cruiser wheel. Wheel cutouts or tall risers are recommended for this wheel."